1. What Is the European Union? -- 2. Origins: The Road to Paris -- 3. Emergence: To the Single Market and Beyond -- 4. Consolidation and Crisis: Maastricht, Lisbon, and the Eurozone -- 5. The European Commission -- 6. The Council of the European Union -- 7. The European Parliament -- 8. The Court of Justice of the European Union -- 9. The European Council, the European Central Bank, and Other Institutions -- 10. Representing Public Opinion -- 11. Public Policy and the Budget of the EU -- 12. Economic Policy and the Single Market -- 13. Cohesion, Justice and Home Affairs, and Other Internal Policies -- 14. Agricultural and Environmental Policy -- 15. The EU and the World -- 16. The EU and the United States. Combining incisive and original analysis with numerous pedagogical features, Introduction to International Relations: Theories and Approaches, Fifth Edition, offers a highly readable and systematic introduction to the principal theories in international relations. Authors Robert Jackson and Georg Sorensen carefully explain how various theories organize and shape our view of the world, providing students with a perspective that integrates theory and practice. Updated in light of current international events and ongoing debates in the subject, the fifth edition features : A new structure that guides students through developments in IR theory, from classical views to contemporary approaches and debates ; A new chapter on feminism, post-structuralism, and post-colonialism ; An updated Companion Website featuring resources for students and text boxes from the book for instructors. A noted political columnist traces the psychologies and pathologies in one of the nastiest and most significant battles of the sexes ever, the presidential race between Hillary Clinton and Donald Trump. Kathryn Stoner and Michael McFaul have created an accessible book of fifteen case studies from around the world that will help students understand some complex issues. 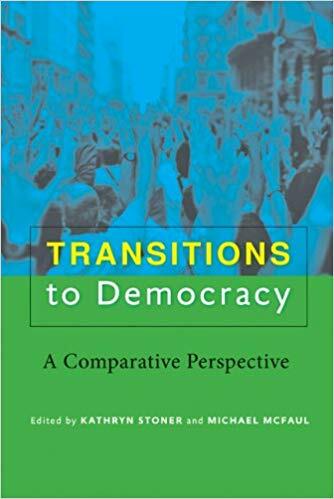 Their model builds upon Guillermo O'Donnell, Philippe C. Schmitter, and Laurence Whitehead's classic work, Transitions from Authoritarian Rule, using a rubric of four identifying factors that can be applied to each case study, making comparison relatively easy. Transitions to Democracy yields strong comparisons and insights. Focusing on the period after WWII, and the fate of legislative proposals offered by presidents from Harry Truman to George W Bush, this title reveals that the presidency, Senate, and House rest on similar electoral bases, with little difference in their partisan textures as indexed by the presidential vote cast in the various constituencies. This thoroughly updated edition offers a balanced introduction to contemporary security dilemmas in the world. Cyber security: how vulnerable is the U.S. to cyber warfare? -- Port security: are new anti-terrorism measures adequate? -- Policing the borders: can the United States guard against terrorists? -- Weapons of mass destruction: can the U.S. protect itself? -- Torture debate: is the U.S. war on terror legitimizing torture? -- Treatment of detainees: are suspected terrorists being treated unfairly? Shaping America offers a survey of American history as viewed through the perspective of the United States Supreme Court, concentrating on how the Court's decisions have shaped American society and how the Court in turn has been affected by prevailing political cultures, strong public attitudes, and several dominating justices. -- from publisher description. The nature of the problem -- Equality and inequality in New Haven -- Book I. From oligarchy to pluralism. The patricians ; The entrepreneurs ; The ex-plebes ; The new men ; Shadow and substance: the social and economic notables ; Overview: from cumulative to dispersed inequalities -- Book II. The distribution of influence. Overview: the ambiguity of leadership ; Leaders in political nominations ; Leaders in urban redevelopment ; Leaders in public education ; Overview: direct versus indirect influence -- Book III. Patterns of influence. Specialization of influence: subleaders ; Specialization of influence: leaders ; Five patterns of leadership ; Pattern A: spheres of influence ; Pattern B: the executive-centered coalition ; Pattern C: rival sovereignties -- Pluralist democracy: an explanation -- Book IV. The distribution of political resources. 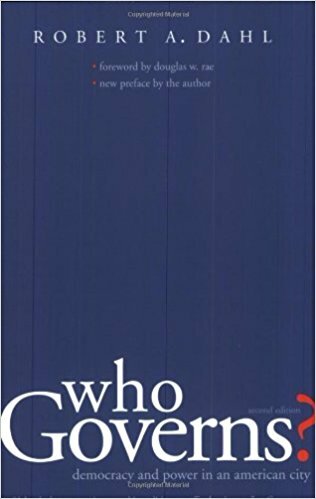 On the species Homo Politicus ; Social standing ; Cash, credit, and wealth ; Legality, popularity, and control over jobs ; Control over sources of information -- Book V. The use of political resources. Overview: actual and potential influence ; Citizenship without politics ; Variations on a theme -- Book VI. Stability and change. Stability, change, and the professionals ; Stability, change, and the democratic creed -- Appendixes. Comparison of New Haven with other urban areas, 1950 ; Methods and data ; Indices and social position ; Indices of political participation. Beginnings -- Tragedy and recovery -- Running for office -- Federal prosecutor -- Serving in Washington, D.C. -- Running for governor : the primary -- The victory! -- A rough start : Three Mile Island -- Reshaping Pennsylvania's economy -- A governor's agenda -- The politics of the governorship -- Harvard and a return to Washington -- Battling white-collar crime -- Crime-fighting in the department of justice -- A global effort -- The ADA and other domestic endeavors -- Criticisms : fair and unfair -- Running for senate -- A sojourn at the United Nations -- Return to the law and other pursuits.